Could the weapon be coming back to the game? 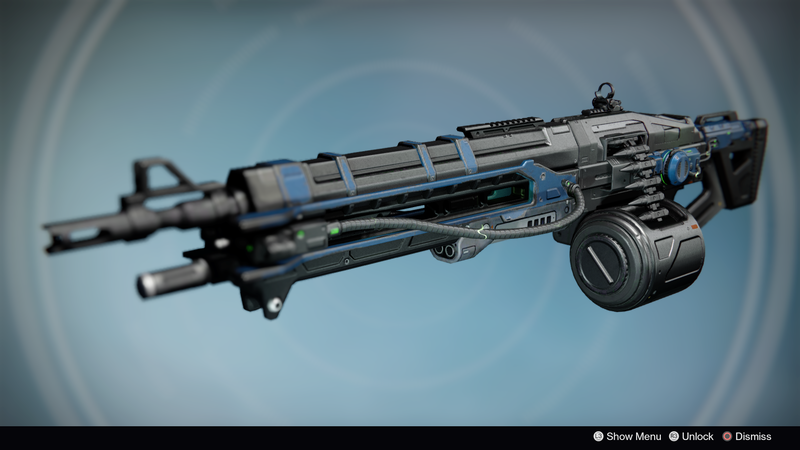 The Destiny community has been alight with rumors that a particular weapon, the Thunderlord exotic machine gun, could be coming back to the game as part of Destiny 2's Halloween-esque Festival of the Lost event. Since the latest Destiny 2 patch, players have bee digging through new data that's been added to the game to figure out if it is, indeed, coming back. People have been lead to believe that a new classified heavy exotic found in the Collections tab could potentially be the Thunderlord. Folks believe this partially because of the fact that its original Feeding Frenzy perk is in the game's database, but not attached to a weapon. Then there's also some dialogue for the Tower's Amanda Holliday, who asks about when player first met their ghost in the first game, related to the Cosmodrome area. In this area, players fought off a Fallen boss that would drop an exotic engram that eventually turned into the Thunderlord weapon. Now, with all this information floating around, including a data mine from Reddit user Ginsor on the Destiny subreddit that shows images of the Thunderlord and new weapon ornaments in addition, it certainly seems as though the weapon is coming back into the game. Players won't know for sure, however, until the last week of the Halloween analogue event Festival of the Lost, which begins on October 30. We'll have to wait and see what comes of it, but it looks like it's a safe bet at this point.